When should I start planting my vegetable garden?…I live on the east coast of the United States but we’ve had unseasonably cold weather this spring. 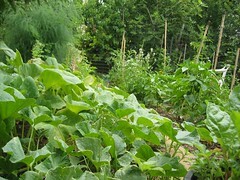 Different vegetables need different times to be planted. Depending on where you live on the East Coast will determine when you will plant the vegetable seeds. There are what are referred to as warm or cool season crops which refer to the necessary weather conditions for growing the vegetables. Warm season crops require soil that is warm when the seeds are planted and then need long days and high temperatures to ripen fruits. For warm season crops you will have to know when the last killing frost will occur in your area. Cool season crops obviously need cool soil and weather. One of the earliest vegetables to be planted are peas. A common rule of thumb in certain areas is that peas are to be planted on St. Patrick’s Day. Most seed packages come with instructions on when and how to plant the seeds. The instructions may say “Sow seeds when all danger of frost is past.” If you know your last frost date, you can understand this instruction. Or the seed packet might say “Sow in spring as soon as soil can be worked.” Cool season crops don’t worry about frosts but may not survive heat. You can go to your state’ s cooperative extension online or call or visit your Master Gardener office for free or nominally priced lists of the last frost date in your area and/or a list of when to plant vegetables in your area. Here is a good vegetable planting chart for the home gardener in NY. One way to get a jump start on planting vegetables is to start seeds indoors in containers. 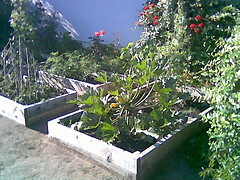 Then when the soil is ready you have plants to put directly into your vegetable garden. See here. Once again, you must be sure of the correct time you can put the plants outdoors. If you start planting seeds indoors too early, they can grow spindly by the time they are ready to be set outdoors. Spindly plants may not be strong when you replant them. Here you can find excellent charts for vegetable planting in NJ. Thanks for the links and tips. I’m now off to start my garden! Thanks for the tips. This one is especially helpful for me, being in Long Island. Brrr, it’s still so cold out.